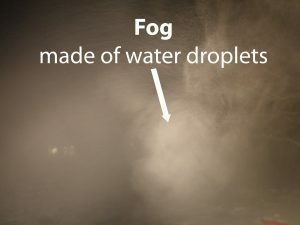 Tonight we see some weather conditions in our neck of the woods that we don’t often see. 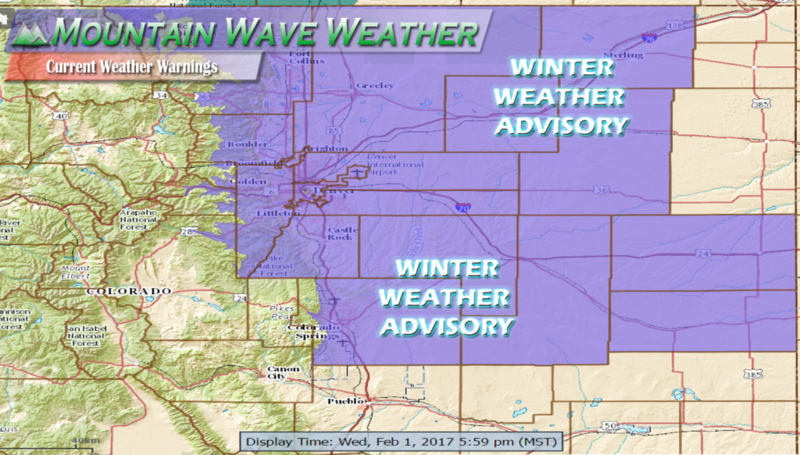 Freezing fog and freezing rain is expected to spread across the front range this evening and last through the morning hours on Thursday. 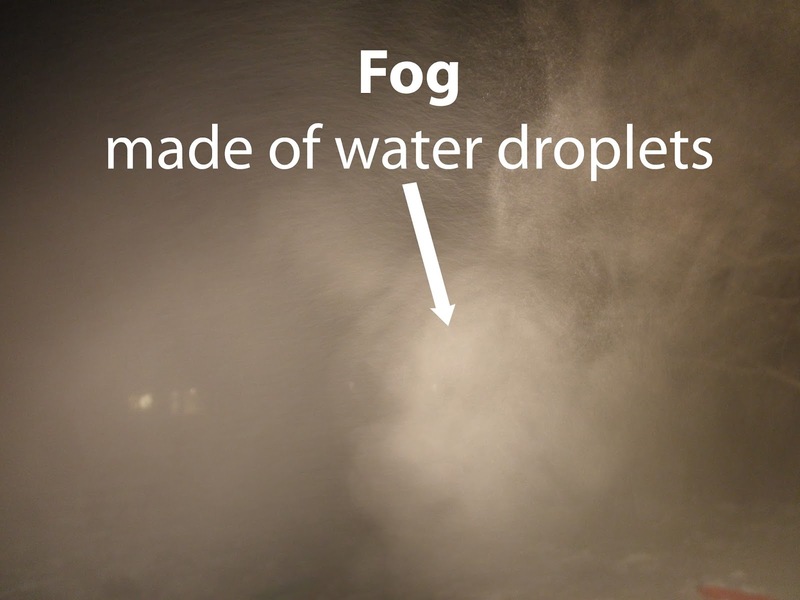 Let’s take a quick look at the weather advisories concerning this activity, then we’ll explain what freezing fog and rain are, what it takes for those conditions to form and why we don’t see it much in areas of Colorado near the front range. 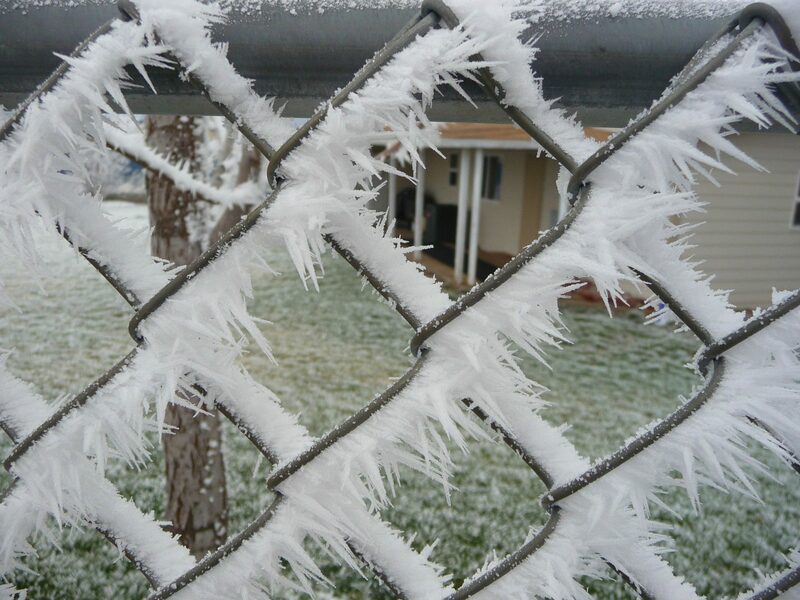 This advisory has been issued for Freezing Rain, Freezing Fog and Ice accumulation. It has not been issued for snow. 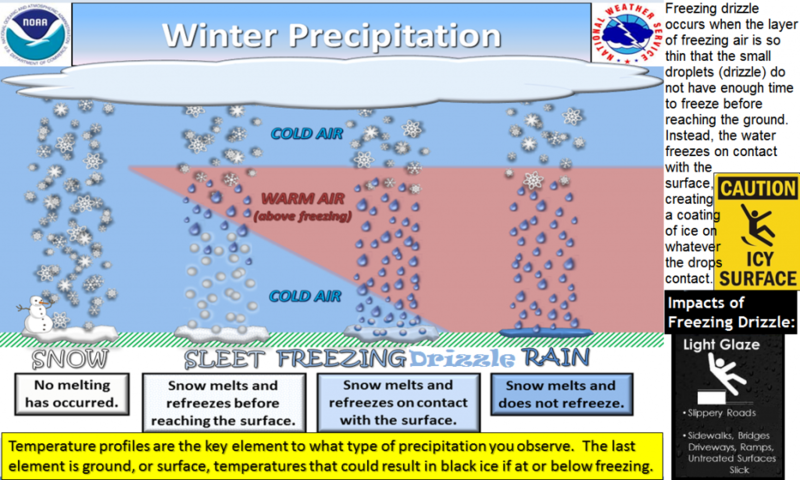 Expect road conditions to deteriorate throughout the evening with ice accumulation and flash freezing of roadways and sidewalks likely. 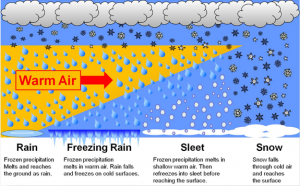 The last key to freezing precipitation is the fact that it stays in a liquid state even though its temperature is below freezing. 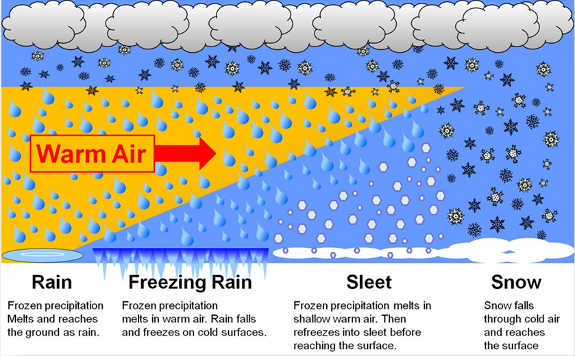 This is because it is super-cooled, in other words it is liquid precipitation in a non-frozen state and a temperature below freezing. Once this super-cooled water comes in contact with a surface, it instantly freezes into a solid and forms ice. 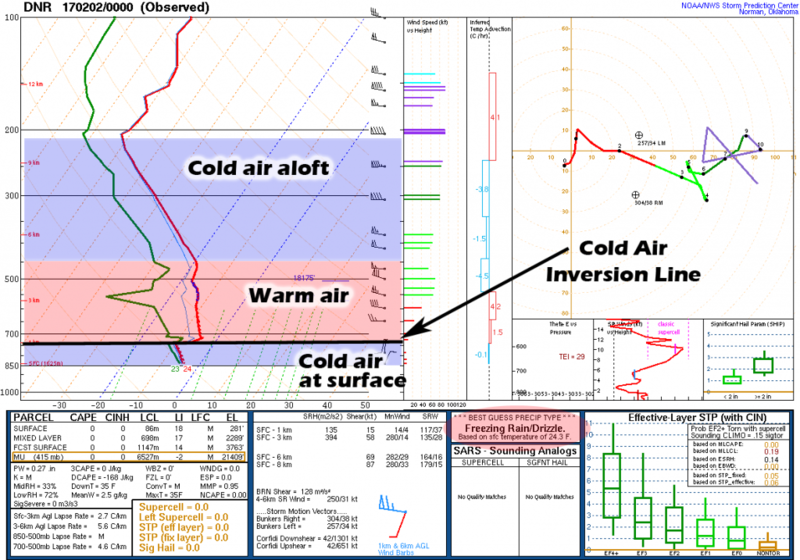 The atmosphere is set up perfectly tonight for precipitation aloft to form as snow in the initial cold layer, melt into rain in the mid-level warm layer and super-cool itself in the shallow cold surface layer, hence freezing rain. In short, it’s a good night to stay home, stay warm and if you have to be out, take it very carefully. If the roads haven’t frozen yet they will and it can happen in a matter of minutes. Most dangerously of all, you will not be able to see it happen!